Let us know of your ant colonies or queens that have passed away. We will grieve together but will also learn why your ants may not have succeeded. I just lost two Sol. Inv. Queens in their test tubes. 1 kinda makes sense. it appears she somehow got entangled in the cotton. I am not sure how that happened but I could not get her corpse physically separated out of the cotton. I rescued a queen (with wings) from my pool. She was really in bad shape but I got her out of the water and set her in the sun for awhile to dry out. I took a little bit, but she perked up and seemed okay. I put her in a test tube, all is well. I did not have high hopes, but about a week in and eggs! So I check on here in the morning and she was happily caring for her brood. That evening my daughter wanted a peek. She had not seen the eggs. I know they should not be disturbed too much, so we went for a quick peek and then back into the dark. But she was dead. She seemed absolutely fine...and then absolutely dead. and all the orphaned eggs. I wonder what happened. Should I have tried feeding her? Could be from the extreme stress of almost drowning, I had a similar situation happen to me with an ant that almost died. I do wonder if being full (from being fed) could have helped her, will definitely try it next time! She could've been ill or just disturbed too much. Looking for the perfect arthropods Discord server, ants included? 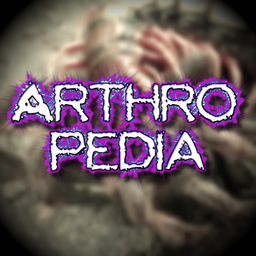 Arthropedia is the place for you.